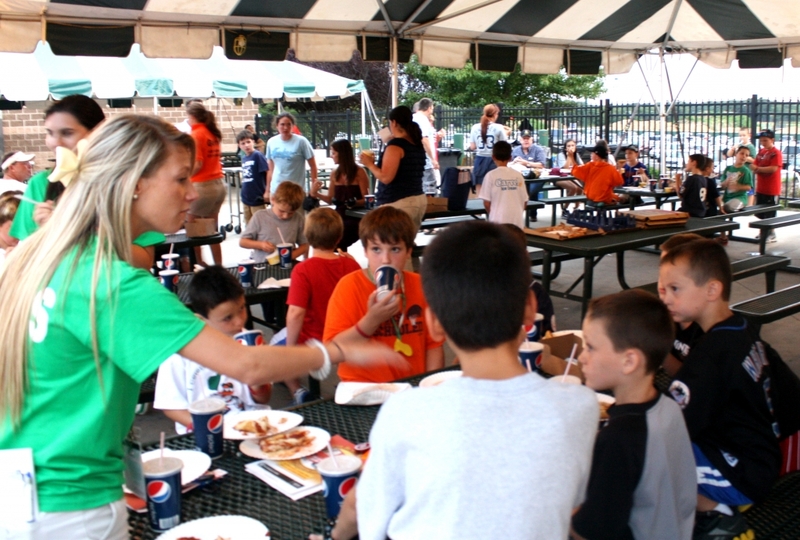 New food options for Duck fans – fare or fowl? 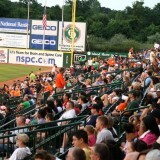 Being a true Long Island Ducks fan means a love not just for baseball, but also for good times in a friendly atmosphere. 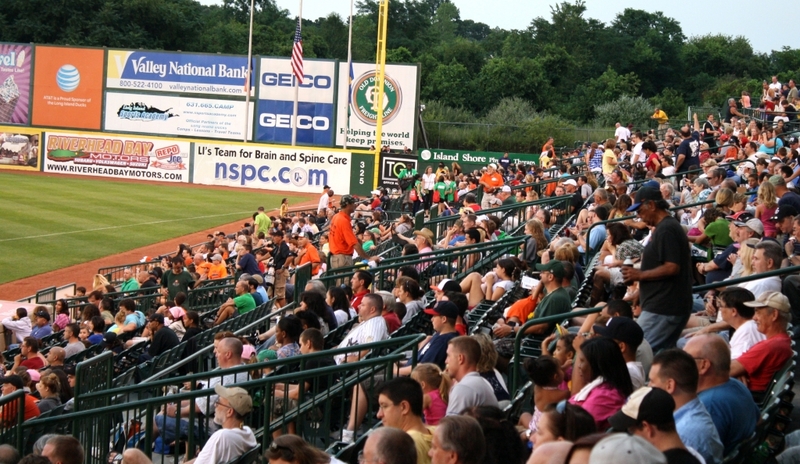 Right off the bat, there was a Radio Disney truck parked outside Bethpage Ballpark in Central Islip to start up the fun for the crowd, even before it entered the stadium. 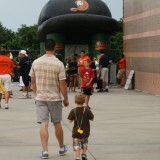 The crew had set up a beanbag-toss game for children to play as they arrived early for the 7 p.m. game between the Ducks and the Southern Maryland Blue Crabs of Waldorf, Md. For the fans, there was a souvenir stand near the entrance, where an energetic young woman hawked Ducks memorabilia. In the stadium, the pre-game crowd was like a crowd in any other baseball stadium. 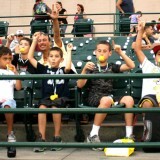 But at Bethpage Ballpark Tuesday night there was an unmistakable sound – the happy quacking as children of all ages blew on duck calls known as quackers. In seat after seat smiling children out for an evening of fun blasted on their quackers and waved foam ducks feet. 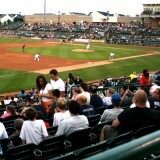 Most of the fans who turned out Tuesday for the minor league game were very easy going. There may have been some diehards with advice for the umpire, but the hostilities that can be present at major leagues games were not noticeable. Heading back to their seats from a trip to the souvenir stand, four middle-schoolers who identified themselves only as Justin, Jason, Xavier, and Thomas. Jason stopped as he was bringing a quacker to his lips, and said, “I like using the quackers.” Xavier had a different souvenir on his mind. “I like catching foul balls,” he said wistfully. 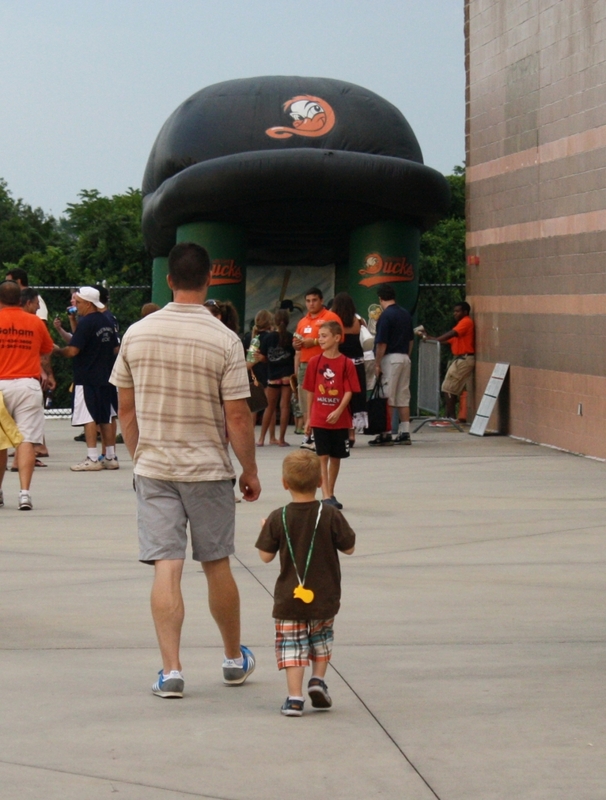 Then of course there is QuackerJack, the team mascot, who has left an impression on young fans since the team started 12 years ago. This playful duck often seems to be everywhere at once, whether he is giving high fives to kids, posing with fans in pictures, or dancing on the field. But the kids aren’t the only ones enjoying themselves. Their parents and other adult fans say they love coming to the games also. 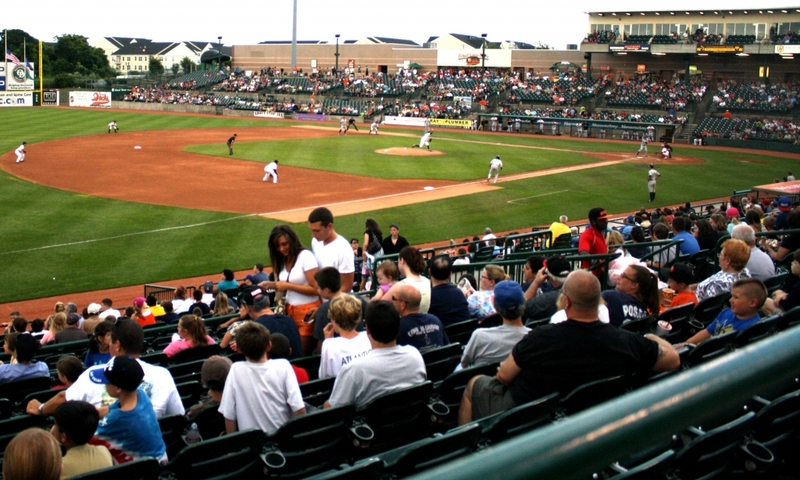 Not only do they appreciate the comfortable atmosphere, it is also more affordable than that major league games. Jim and Barbara Rutigliano are self-proclaimed fans, and they attend as many games as they can, Barbara Rutigliano said. The couple was wearing Ducks clothing for the game, and said they keep coming back because of the great atmosphere and the affordability. Ashley Johnson on The hardest week of my life. The greatest week of my life. Natalia Barr on The hardest week of my life. The greatest week of my life.